Good morning. It's Friday, Jan. 25. • PG&E is cleared of the most devastating fire of 2017. • Warriors visit Barack Obama after White House snub. 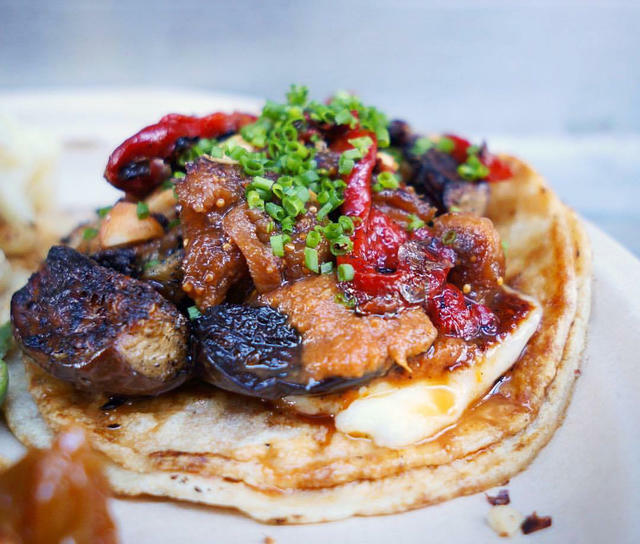 • And chefs name their 12 favorite taco joints in L.A. 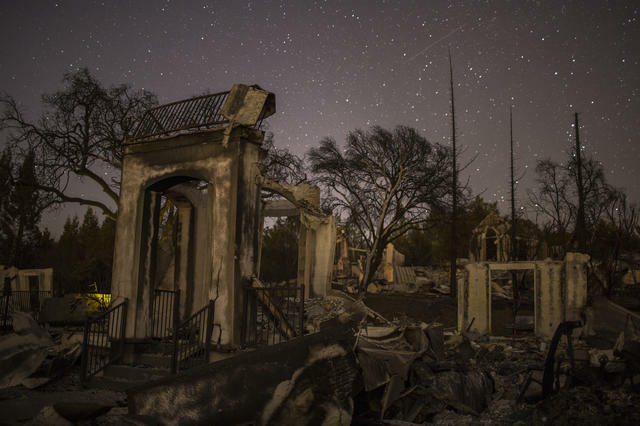 The ruins of homes destroyed by the Tubbs Fire on Oct. 14, 2017. Sacramento is getting bluer still. A Republican assemblyman from San Diego, Brian Maienschein, announced that he would defect to the Democrats, leaving Republicans with just 19 out of 80 seats in the chamber. "Donald Trump has led the party to the extreme," he said. The Assembly's Republican leader called Maienschein a "turncoat." "God no. No, no — no, that's crazy." California's most popular camping destinations commonly get booked six months in advance. But some of the state's prettiest spots require no reservation at all. 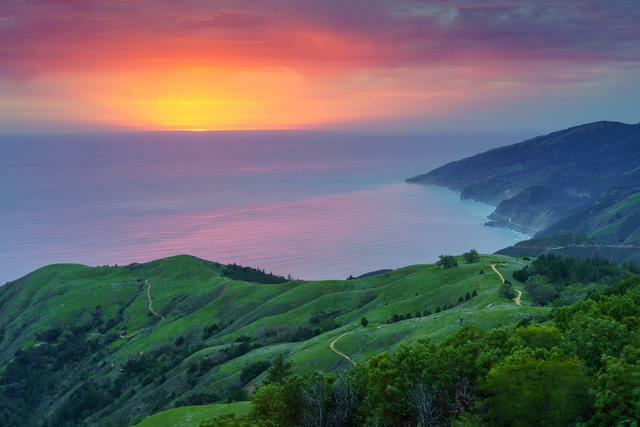 Pictured above is the view from Prewitt Ridge, a reservation-free campground that one travel writer called the "crown jewel of camping" along the Big Sur coast. 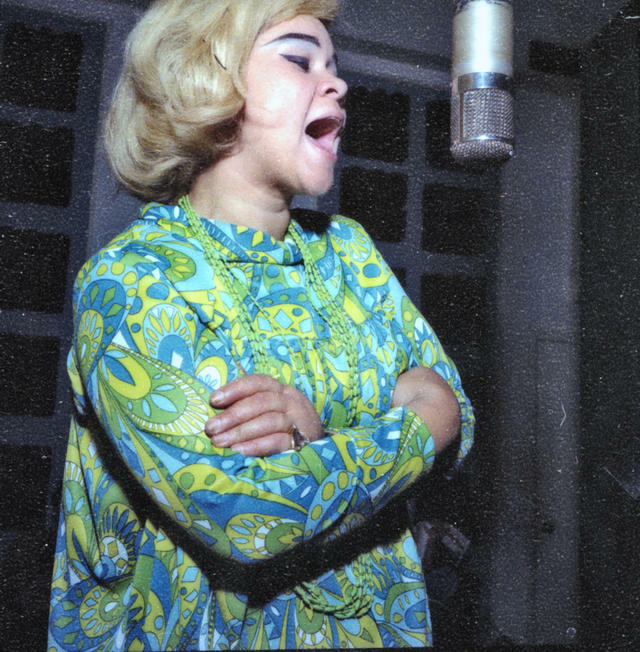 Here's Etta James at about 29 years old. Born in Los Angeles on this day in 1938, she was a gospel prodigy who sang from age 5 at St. Paul Baptist Church in South Central. Her teenage years were spent in San Francisco, where she said she fit in with the "street people and weirdos." In time, she grew into one of the most dynamic rhythm-and-blues singers of a generation with a voice that "could stretch from a sultry whisper to an aching roar." Her rendition of the love song "At Last!" became a classic. But James saw herself foremost as a blues musician. "A lot of people think the blues is depressing," she once said, "but that's not the blues I'm singing. When I'm singing blues, I'm singing life. People that can't stand to listen to the blues, they've got to be phonies." The Humboldt Bay island currently isn't being used for much of anything. 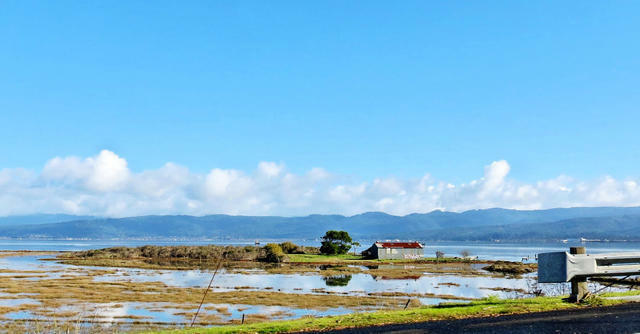 In an unprecedented move, Eureka is transferring an island in Humboldt Bay back to the Indian tribe that once inhabited it. The Wiyot Tribe was driven from the island — known as Tuluwat — in 1860 after more than 200 of its members were slaughtered by white settlers. When the island transfer came up for discussion at a City Council meeting, a tribal elder sang the words "we're coming home," leaving the chamber in rapt silence. Even as Google publicly supported employees who protested company policies, it quietly urged the federal government to restrict workers' rights to organize using their work email. "Google is aiming to silence us," activist workers said in a statement. 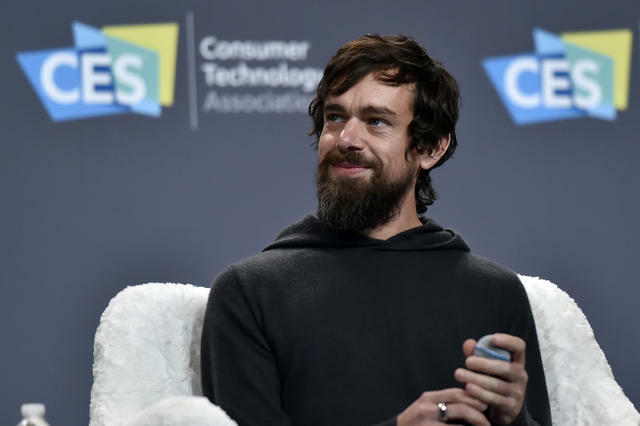 Jack Dorsey spoke at press event in Las Vegas this month. Q. What was your most memorable encounter with Zuckerberg? A. Well, there was a year when he was only eating what he was killing. He made goat for me for dinner. He killed the goat. Q. In front of you? A. No. He killed it before. I guess he kills it. He kills it with a laser gun and then the knife. Then they send it to the butcher. Warriors players posed with former President Obama. 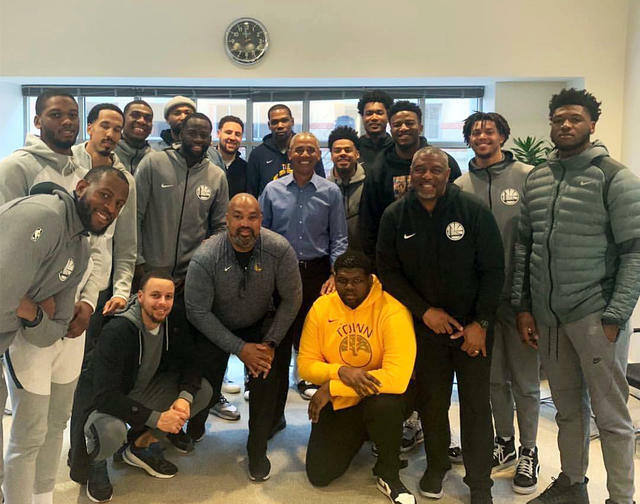 The Golden State Warriors paid a visit to former President Obama during a trip to Washington, D.C. The defending N.B.A. champions were disinvited by President Trump from a traditional White House visit last year after Stephen Curry said the Warriors didn't want to go. An aerial view of the Sierra Army Depot in Herlong. One of the world's largest fleets of armored vehicles is parked in a sparsely populated desert in Northern California. The Sierra Army Depot was built during World War II to be near enough to Pacific ports but far enough to be safe from Japanese attack. Over the decades, its stockpile of weaponry grew. 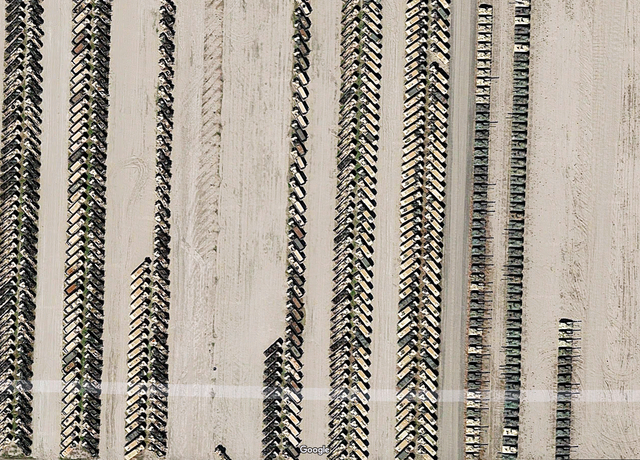 Today there are nearly 30,000 tanks, trailers, trucks, and other miscellanea — all arrayed in neat rows. The police made an arrest in downtown Los Angeles. 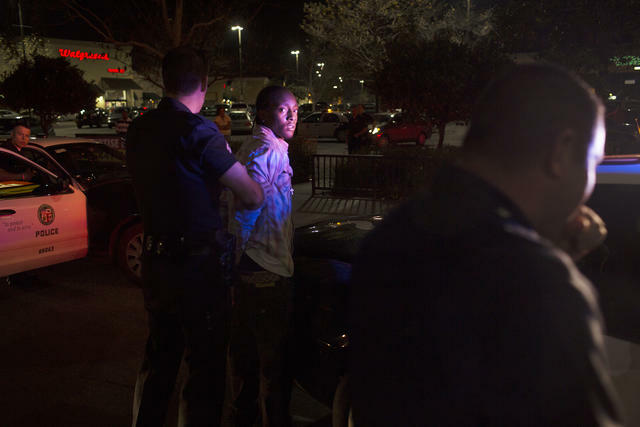 In 2015, the Los Angeles Police Department created an elite unit to swarm crime hot spots, pulling over motorists to search for guns and drugs. A data analysis showed that officers stopped black drivers 13 times more often than white drivers. "This is stop-and-frisk in a car," a civil rights lawyer said. Earlier this month, a gut-wrenching video surfaced online showing a woman dragging a small dog behind an electric scooter in downtown Bakersfield, leaving the animal bloodied. It turns out the woman was employed as a psychologist at a state prison. The authorities have recommended animal cruelty charges. Only two northern white rhinos now exist, Najin, left, and Fatu, both females. Since 1975, an animal research center in San Diego — known as the Frozen Zoo — has been collecting tissues from creatures and preserving cells at 321 degrees below zero. The center has made embryos of cheetahs and created pheasant chicks from preserved sperm. 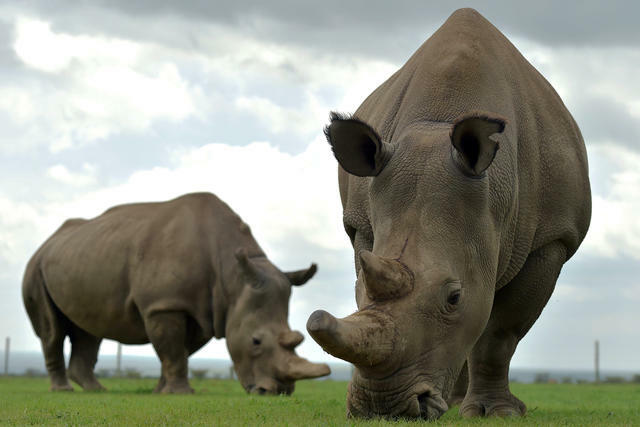 Now its zookeepers hope to revive the nearly extinct northern white rhino by turning skin tissue into eggs and sperm. A creation by Guerrilla Tacos in Downtown Los Angeles. Ask a hundred people to name the best taco in Los Angeles, and you could get a hundred different answers. So L.A. Magazine went to the pros, asking 12 chefs to weigh in on their favorites. One named an off-menu taco: "Eat this before you die and you've experienced one of the tastiest things ever cooked." 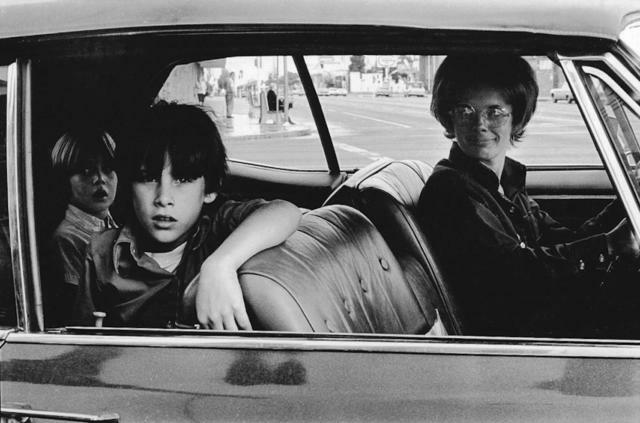 An image from "People in Cars." People are busy. So I've wondered about adding a monthly email that includes the 10 or so best items from the last four weeks of newsletters. Potential upside: Folks have a quick way to catch up on stories they may have missed. And downside: It's one more thing in your inbox that you could do without. Please tell me what you think in this "yes" or "no" poll.